Over the last 18 years, we have helped 27,318 people apply for $7.6 Billion in loans with a 98.2% Customer Satisfaction Rating. We are paid a fee by the successful lender only upon the settlement of your loan. We charge you NO fees and pass NO costs onto you. All fees paid to us are fully disclosed to you. We provide a comprehensive Mortgage Broking service to help you obtain the right home loan from the thousands of finance options and dozens of lending institutions that we work with. Be careful. It is getting harder every day for people to obtain finance. And if you are declined by a lender it becomes harder still because the decline is listed on your credit rating for the next seven years, making other lenders more cautious about you. Every year, thousands of people just like you choose a Mortgage Australia Broker. Having such a wide range of lenders means we have many more options for getting your loan approved. Unlike many other Mortgage Brokers, we are NOT owned by a bank. Mortgage Australia Brokers are a much safer way to obtain a home loan – Did you know that you are 7 and a half times more likely to have a complaint when dealing with your bank than with your Broker (Source: Credit Industry Ombudsman). You are much more likely to get a lower cost loan from a Mortgage Broker who has thousands of loans to offer than a single lender who only has their own loans. Its the modern, easier way to get a home loan – We start by meeting you at a time and place that suits you – at home, at work or over a coffee; during the week, at night or over the weekend – we’re always flexible. We’ll look at your current financial circumstances and then research and find the right solution for you. We take care of the paperwork, manage the application process and then take it through to settlement. We are like your personal private banker, but we are not conflicted because we only work for you and not any bank. We get to know you personally to understand your unique circumstances. Using our experience and technology, we know which lenders will have the right solution for you. And we negotiate for what’s right for you, not what’s right for one particular lender. In fact, whether you use a Mortgage Australia Broker or not for you next home loan, because more than half of all home borrowers use a Mortgage Broker, this greater competition has produced lower interest rates for everyone. Whatever type of loan you’re looking for, or whatever part of the loan process you’re at, a Mortgage Australia Broker can help. It doesn’t matter if you’ve just started thinking about buying, have already found the perfect house and want to quickly sort out your finance, are looking to unlock the equity in your current property, or are wanting to find out if there’s a better borrowing option than the one you currently have – any time is a good time to explore your options. 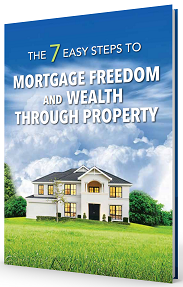 We literally wrote the book on home loans and becoming mortgage free, faster. “If you want to be mortgage free sooner, learn how you can apply the same methods that I used and accelerate your journey to financial freedom. I personally became mortgage free in just 7 years – without scrimping and saving or making lots of extra repayments. We hold an Australian Credit License 377294 and are regulated by ASIC. Every local Mortgage Australia Broker undergoes a formal Annual Audit conducted by a third party auditing firm to ensure they are fully compliant with our Licensing and Customer Service requirements. We are members of AFG. 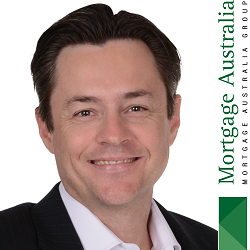 The largest mortgage broking group in Australia which organises 11% of all Australian home loans. We are member of the Credit Ombudsman Service Limited. COSL provides a free, impartial dispute resolution service as an alternative to legal proceedings for resolving complaints with a participating financial service provider. If you have any concerns regarding our service to you, here is our Dispute Resolution Process. We are Mortgage and Finance Association of Australia Credit Advisors (Member #9560) and adhere to the MFAA Code of Practice. Our Managing Director is also an MFAA Certified Mentor. Under the Privacy Act 1988 it is ILLEGAL for us to pass your personal or financial information onto any other party without your written consent. Click here for our Privacy and Security Policy. When you apply with us your information is securely stored and only used for the purposes of a loan application. To further ensure we are consistently working to meet your needs, we send our clients an optional Customer Satisfaction Survey which is automatically published on our site. There is NO secret or hidden extra cost you are paying. We save the bank’s time and money by organising loans for them, so they pay us for our time and expertise. A loan organised by us is less expensive for them than having to maintain branches and pay their own full time mobile lender’s salaries, bonuses and operating costs. Each Mortgage Australia broker works in the suburbs where they live. Its a lot more reasonable to trust someone that lives nearby than someone you’ve never met and may never see again. We are the last broker you will ever need because you always know where to find us! Our loan selection process is completely transparent and objective. You see, updated in real-time, all our best lending options sorted and compared by their real long-term cost to you.